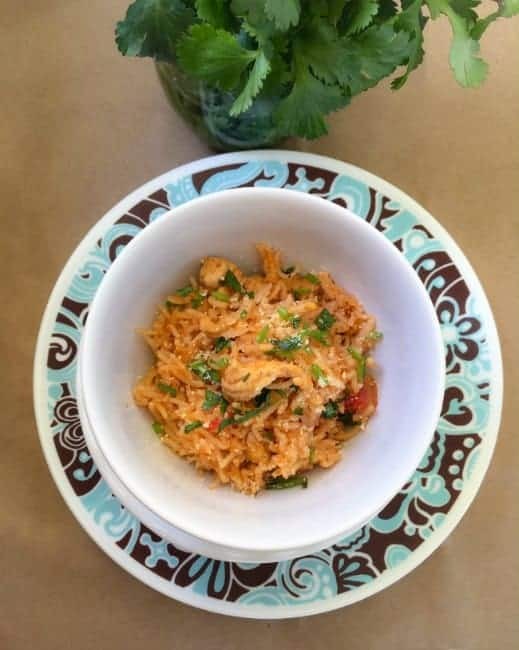 One Pot Turkey Rice Casserole: extremely delicious and easy #onepot recipe using ground turkey, rice, chili mix or seasoning, tomato, and herbs. It can be made ahead of time & served fresh or pack as work meal. Hi Everyone, Hope you’ll had an AWESOME Valentines Weekend and got to spend some precious-memorable moments with your loved one. We are back to our everyday routine (for many of us in USA, it was a President Day Long weekend holiday too) and because this weekend came so quick, I didn’t get any time to prepare for our next week meals. After two days of spending an absolute fun time in the gorgeous California weather, I finally got started on prepping weekday meals and we made a quick trip to Walmart. 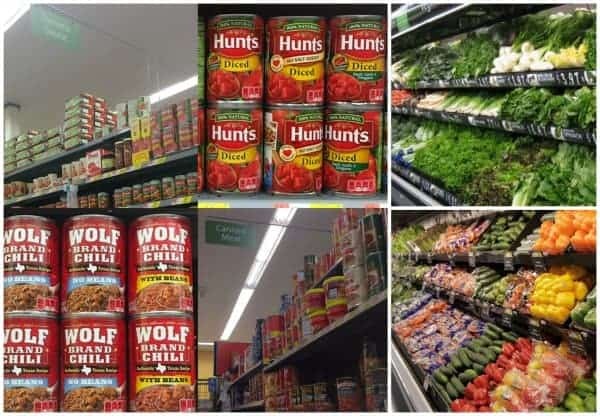 This time we got some of their fresh produce along with our regular stock of canned ‘ConAgra products‘ which seriously, are perfect for creating easy yet delicious comfort meals, cold weather meals, and busy family meals. 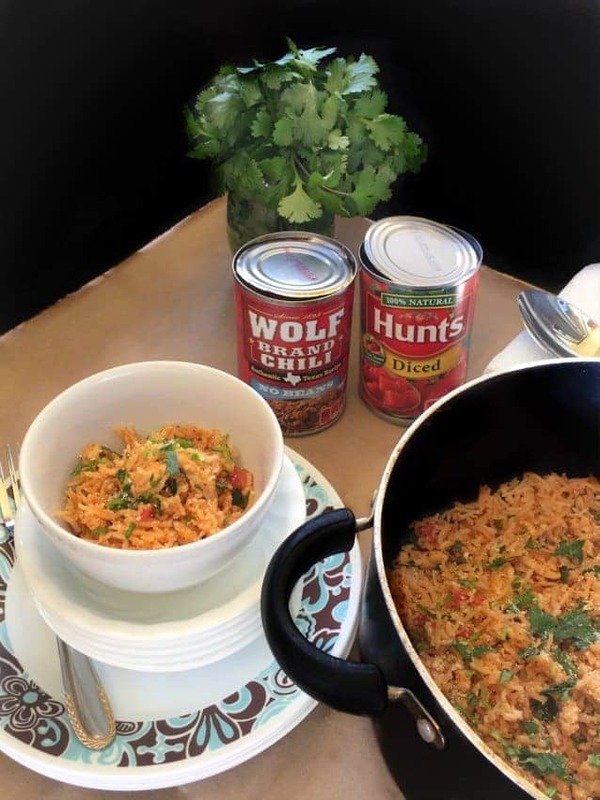 This time I specifically got the ‘WOLF canned foods (Chili) and Hunt’s (diced tomatoes) for making my ‘One Pot Turkey Rice Casserole‘ which is actually made on the stovetop. 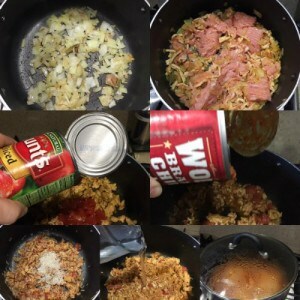 The canned chili is already packed with spices, that adds so much flavor which makes recipe creation stress free. Trust me, these products, not only adds such great flavors to the recipes but also help save so much time. 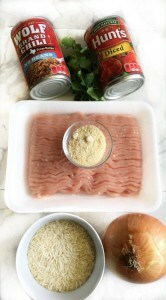 All I did was just make the base sauce using chili, diced tomato, onions and then add lean ground turkey meat and rice. Let everything cook on low heat for 15 minutes and your meal is ready to serve. Whenever I prepare the sauce for the casserole, I always make some extra and freeze in small batches/ice cubes tray to be used later. It comes in so handy when I’m short of sauce ingredients to flavor any other similar recipe OR when I don’t have time to cook the sauce from scratch (especially weeknights). Also, I usually cook a large batch of this recipe and use it as office lunch or just mix it up with some fresh salad greens (which we just bought from Walmart) and use it as a cold salad. I mean there are so many ways to reuse this dish. I hope you quickly make this recipe and it helps with your busy family. 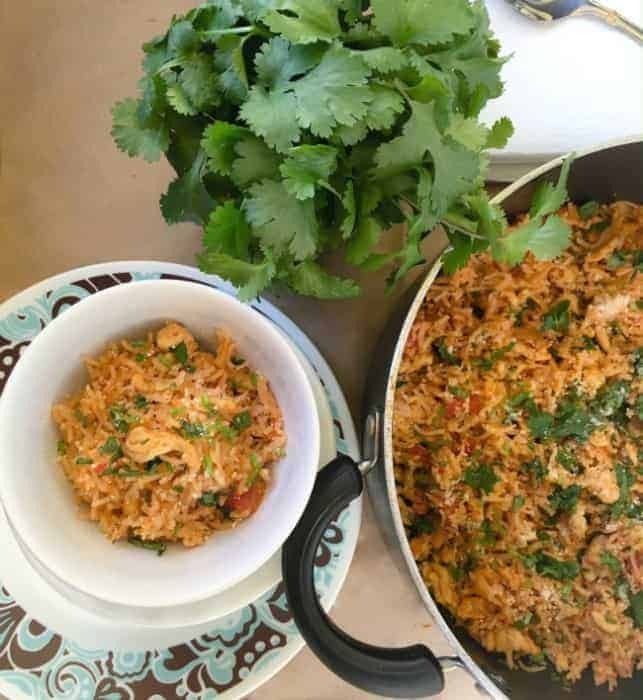 extremely delicious and easy #onepot Turkey Rice Casserole recipe using ground turkey, rice, chili mix or seasoning, tomato, and herbs. Heat oil in a large pot and add thinly chopped onions. Now add, tomatoes, give it a quick mix and cook covered for 5 more minutes. 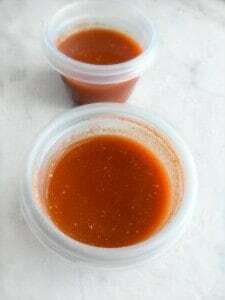 (Now you can remove few ladles of sauce for freezing for later). Add rice, chili, saute everything together and cook covered for 2 minutes. Now, add cheese, water and cook covered for 8 minutes on low heat. Once the rice is cooked, turn off the heat. Fluff up the rice using a fork and serve hot or store for later use. 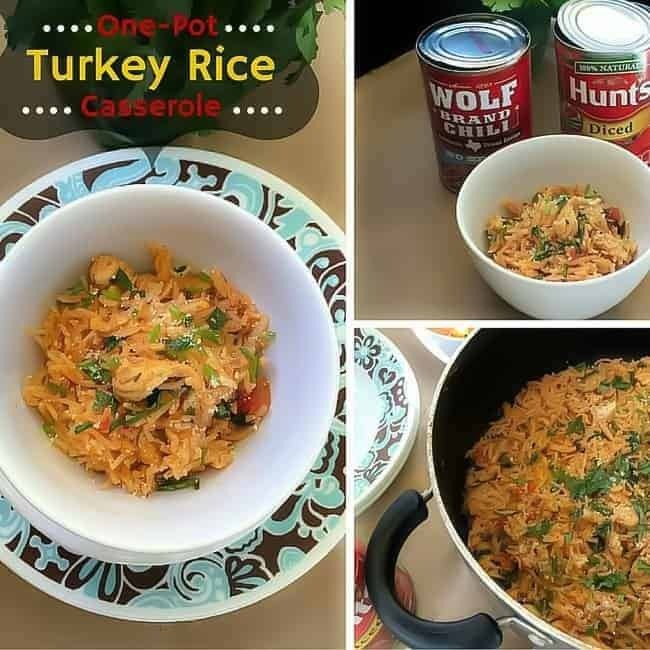 12 Replies to "One Pot Turkey Rice Casserole"
This looks so easy and delicious! Thanks for the recipe!! Rice dishes are always a hit. I’ll have to make this without meat, but it seems like it would be just as delicious! Thanks Dana, they are just so easy n filling 🙂 Definitely give them a try without the meat. One pot dishes are the best! And I love how rice adds so much heartiness. Thanks so much Mahy – I’m so happy you liked it. 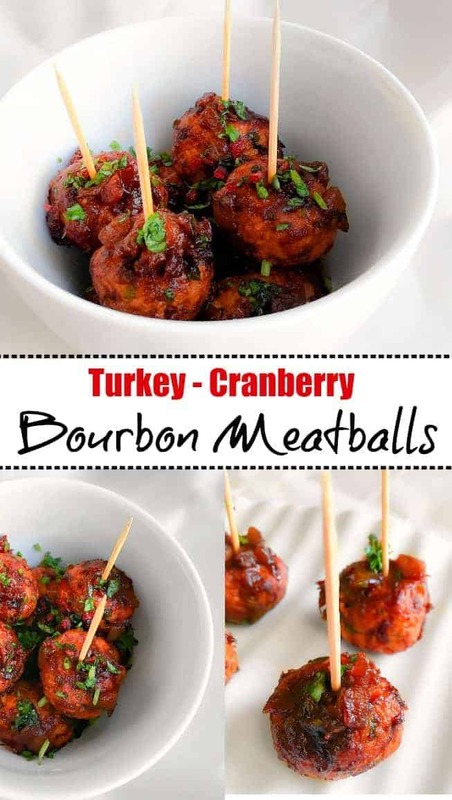 What a great post for a weeknight dinner! Thanks Amber – We totally love this combination too as it makes weeknight meal such a breeze.